February 14th is traditionally celebrated around the globe as Valentine’s Day and is dedicated to lovers and romantics. By delving a little into the history of this special day, we discover it has a deeper significance and is strongly liked to the season of fertility! It’s certainly a tangled web of religion, myths and facts and as we explore further we will see there are lots of discoveries to be made. Did you know that the word February came from the Latin word “febuarius” and was originally considered as the month of purification? Festivals that held in February began with an animal sacrifice, their hide would be stripped and young men would ‘whip’ them against the skin of a young lady and crops as they believed it would aid fertility and provide a good harvest for the following season. And if you thought the lottery was a recent thing, you should think again! Once the ladies had been whipped with thongs soaked in blood, other highlights included the ladies writing down their names and putting them in an urn for the single men to pick out at random in the hope the couple would commit to each other until the festival had finished. The men would wear the name of the chosen lady on their sleeve and this would mean they were paired for the whole year, hopefully resulting in a marriage. We wonder whether this is where the phrase “Wearing one’s heart on one’s sleeve” comes from? As time passed by, this festival and lottery system all seemed a bit “unchristian” so it was soon disregarded by the Catholic Church. Instead, they decided that having a Saint to celebrate this season of fertility was more suitable and this is when people were first introduced to the concept of “Saint Valentine”. Historically, it’s hard to identify exactly who the chosen person was but we do know there were at least three people in the running – unfortunately they all ended up with a rather sticky end. The most likely options are that it was a priest or maybe a Bishop. According to a legend, one of the Valentines found himself in prison and fell in love with what was possibly his jailor’s daughter, who visited him during his confinement. Rumor has is that he signed a letter to her “From your Valentine,” sparking centuries full of letters ending in the same three words. Although the definite truth behind the Valentine legends remains unclear, the stories all share one thing: romance. So why is 14 February the day we traditionally celebrate love? In some countries such as France and England, it was thought that this indicated the start of mating season for birds, another very strong link to fertility! 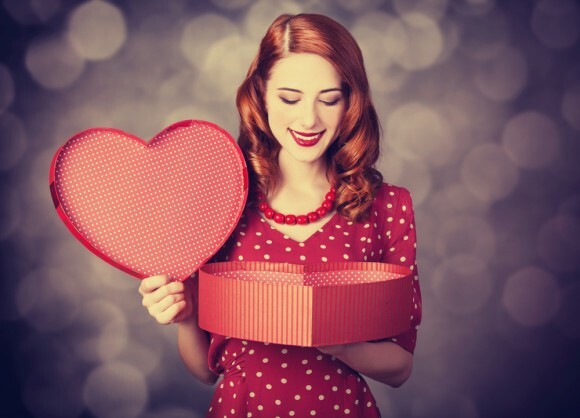 Back to the current day, the tradition of giving gifts and a valentine’s day card in particular is a very important tradition and it never hurts to hear the words “I love you”. Here are some great ideas for gifts and treats for that someone special in your life. For best results… do them together. Elke’s Day Spa Sheabutter Wrap or Sea Salt Scrub €45. Wellness Spa Landstuhl chose your favorite treatment for €20 for 20 mins – while you’re there, use the Discount Coupon in the 2018 Find-It Guide (page 343) for free eyebrow, lip or chin waxing. Top up your tan together at The Sun Club in Ramstein or Kaiserslautern and either get one free month with a one-year contract or save €2 at your next tanning appointment with their coupon in the 2018 Find-It Guide (page 341). Looking to buy chocolates for your loved one on Valentine’s Day? Check out Page 24 of this week’s Kaiserslautern American for a 10% discount voucher from Hussel in FackelStraße 9, Kaiserslautern – discover a large variety of chocolates, candles, sweets and many more Valentine’s Day gift ideas! For a comprehensive list of restaurants in your area, check out the listings on the Find it Guide here. Say it with flowers – old school but never out of style! Check out a list of Florists here. Take the Deutsche Bahn and spend a weekend in Paris… or even a day trip! Tour the Romantic Road through Bavaria, stopping off at Neuschwanstein Castle on the way. For some 5 star options, check out our Germany’s Top 5 Luxurious Mountain Resort Hotels. 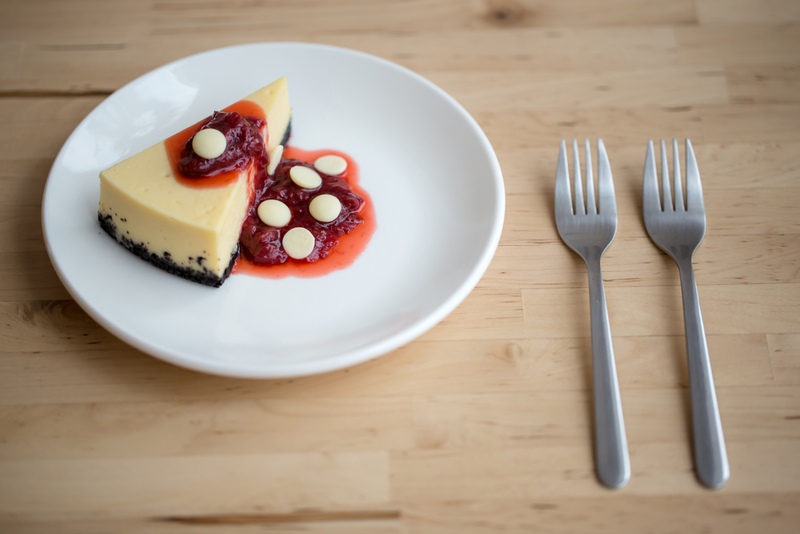 White Chocolate Raspberry Cheesecake is a romantic dessert to accompany your Valentine's meal.